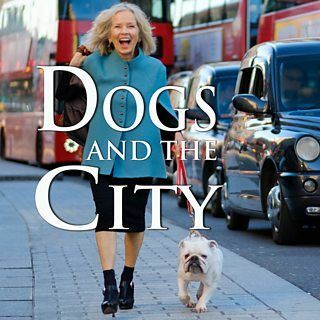 In Spring 2002, two apparently identical, fluffy, black puppies met on Primrose Hill and began to play. 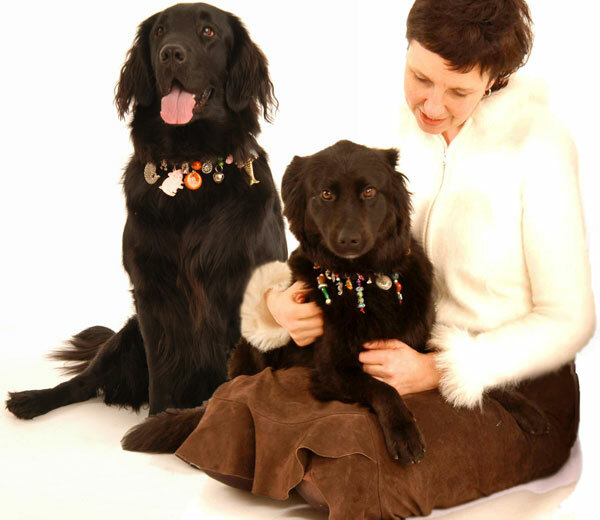 Holly, (the collie cross) and Lil, (the flatcoat retriever) joined forces for many long walks whilst, their owners, discussed life and other stuff - such as why you could never buy really wonderful dog collars? 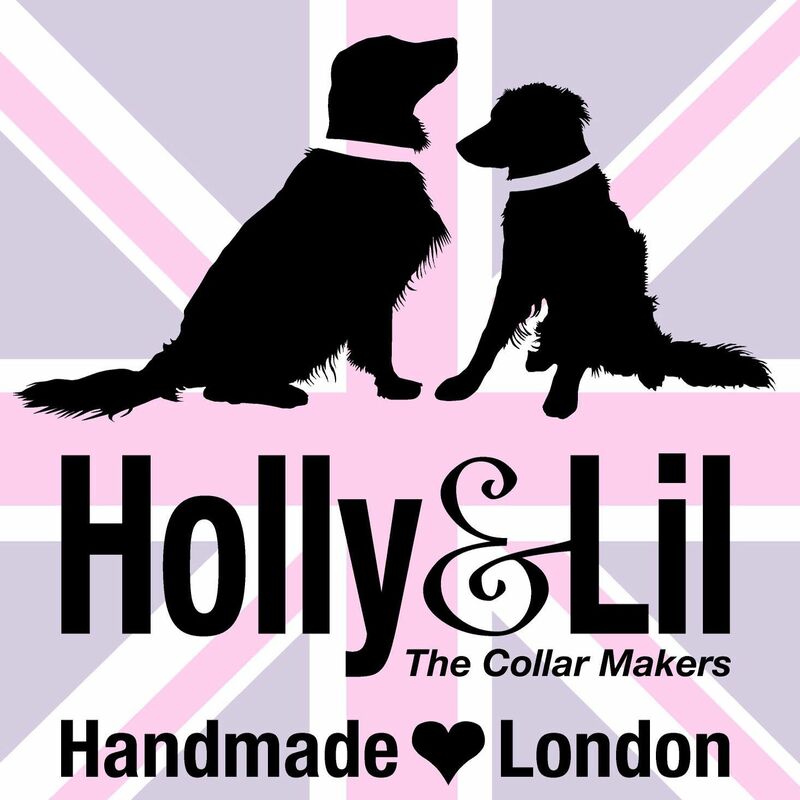 We decided to start making their own collars for Holly and Lily - and then for friends who wanted them too. Eventually, Holly&Lil Collar Couture became a fully-fledged business. The philosophy behind Holly&Lil is to combine the British tradition of quality handmade leatherwork with a keen design edge which, we believe, no other company can match. 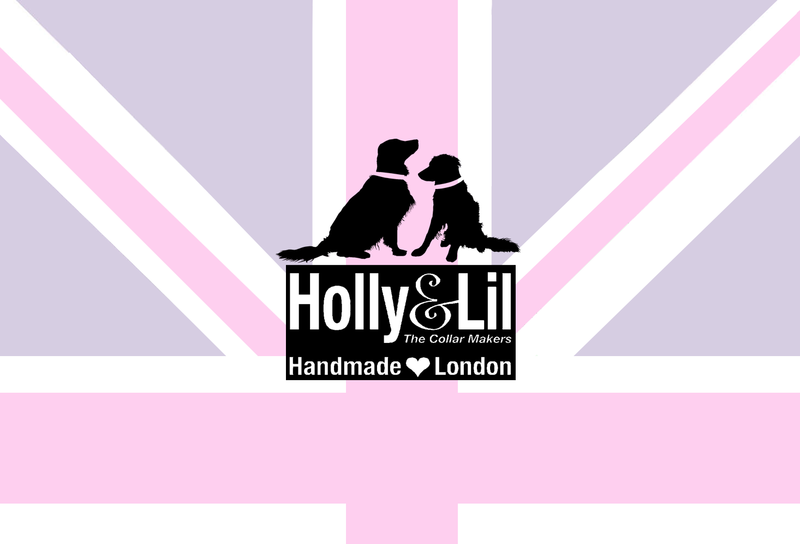 Exciting new collections are introduced every season and Holly&Lil also offers a unique 'Make Me One' Bespoke service - used by show dog owners and many other people who want their dogs to wear complete one-offs. Lilys owner, decided to leave Holly&Lil in 2010 and then we lost her lovely Lily in 2011; our hearts still miss her and always will but she lives on in H&L. Holly, my muse passed in March 2017, the day before we left for Crufts. Agony. She is in my heart forever and I love her as much today as I did when she was with me. In August 2012 we got a new edition to our pack the glorious Augustus... a lurcher, Greyhound/Fox Hound cross. A rescue from the Many Tears Charity. He is actually less a dog more a bowling ball with legs! And in July 2017 Nelly Bear joined us from Wild at Heart, a rescue dog from Romania. Today our handmade collars are worn by dogs and cats all over the world, from Brighton to Bangkok and from Moscow to Tokyo. Our thanks to everyone who has helped along the way; people friends, dog friends, cat pals and, of course, Holly & Lily themselves ! 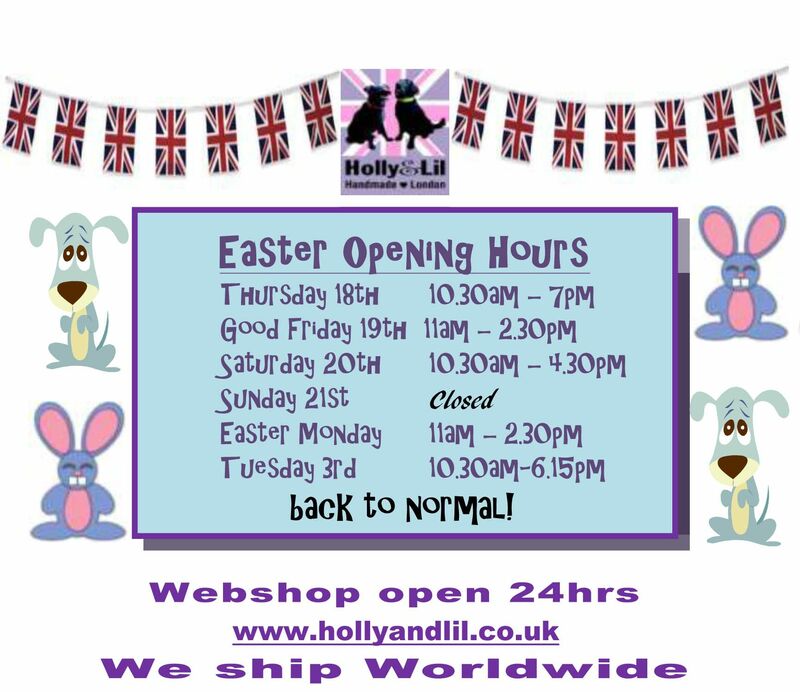 Come and meet our Holly&Lil pack in "person" in our shops at 90 Tower Bridge Road, London SE1 4TP. 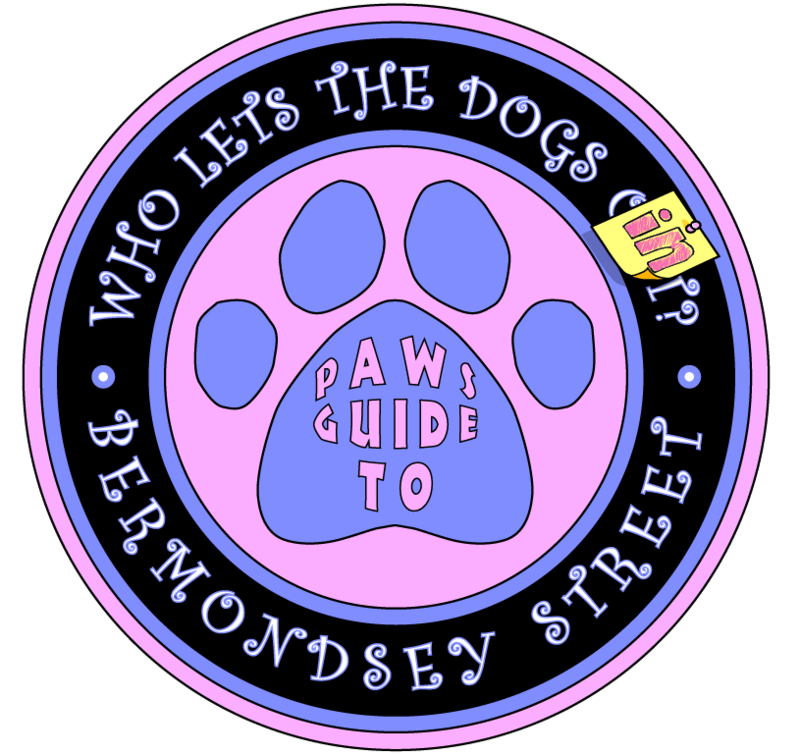 (Our shop in Bermondsey St had to close in May 2018) All our collar collections are here and we have fabulous handmade beds, bowls, treats and other goodies we've no room for in the webshop. We won the Kennels Clubs 'Somewhere on the High Street' Open for dogs award. Previously won by big names like Metro Bank. 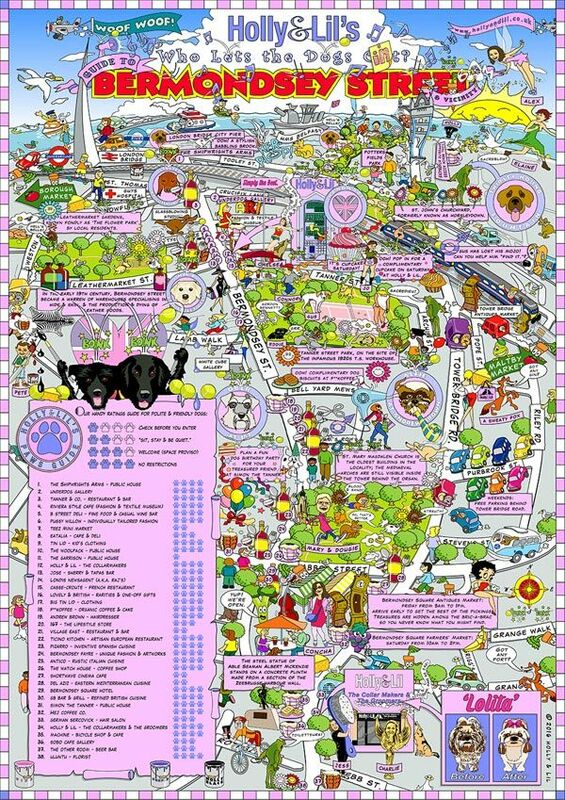 We have also created a map that shows you the dog friendly Restaurants and bars and shops in our street.. over 34 of them! You can download here or get a free one in our shops.